Sciences specifically affected by “consensus conformity” include, among others, the health sciences, especially vaccinology, or the ‘science’ of vaccines—more like pseudoscience, I offer, and microwave science, which lags behind from the World War II era in recognizing only thermal waves but not health-damaging non-thermal radiation waves . As Dr Herndon states, “The oceans are our planet’s major reservoir for CO2.” OMG, how will they ever collect carbon taxes from the oceans? Or from humans, who exhale it with every outbreath? Isn’t that quite an insurmountable problem? Or, will they impose human CO2 taxes for our polluting the planet just by living and breathing on what cabal controllers ‘think’ is their scientific playground? Please excuse my tongue-in-cheekiness. However, in Dr Herndon’s latest paper, we find questions , which need answering—and very soon. As NOAA and NASA are both prime sources of data utilized in climate models and assessments, and are apparently participants in the global covert tropospheric geoengineering activity, how objective are their data? Indeed, what are the purposes of spraying a toxic substance into the air we breathe on a near-daily, near-global basis? Surely, those closely connected with the operation know that it causes global warming and polar ice melting. Do government leaders realize that the intent of these covert geoengineering efforts is to cause global warming? Or are leaders being deceived, told that the tropospheric aerosol spraying is to prevent global warming? Is it being done to get at the petroleum and other natural resources beneath polar ice? 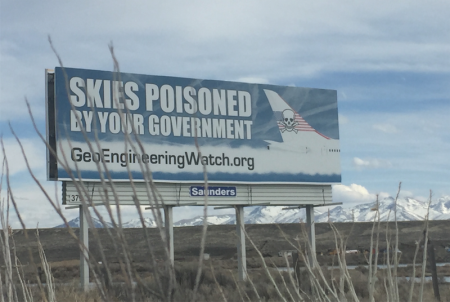 Is tropospheric geoengineering being done to cause global warming so as to provide a basis for the United Nations to take control of major elements of sovereign nations’ economies? Or are more sinister motives involved? The military has researched weaponizing weather since 1947, but at what cost to human and environmental health? What have leaders been told that makes them acquiesce to a program that is no less than an assault on planet Earth? 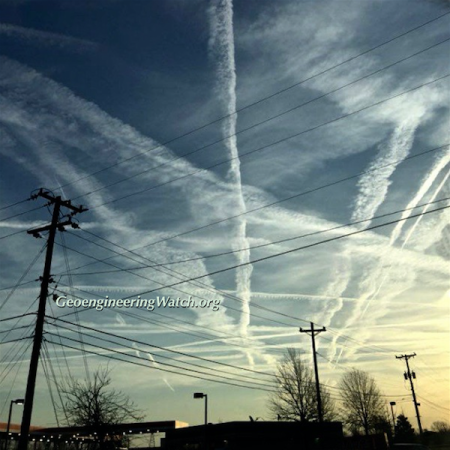 There has not only been great secrecy involved, but governments have deceived citizens, either denying the aerial activity or falsely asserting that the observed aerial trails are simply contrails, ice crystals formed from water vapor in jet exhaust. In 2005 the United States Air Force distributed to government agencies and published online a document entitled “Contrails Facts”  which blatantly denied the existence of the observed particulate trails and falsely asserted that they are contrails. 65. http://www.nuclearplanet.com/USAF.pdf., Accessed April 17, 2017. There is good evidence that the main particulate matter being sprayed into the troposphere worldwide is coal fly ash, the light ash from coal combustion by electric power companies that is considered to be too toxic to be allowed to exit smokestacks in Western nations [63,66-68]. >63. Herndon JM. Adverse agricultural consequences of weather modification. AGRIVITA Journal of Agricultural Science. 2016;38:213-221. 66. Herndon JM, Whiteside M. Further evidence of coal fly ash utilization in tropospheric geoengineering: Implications on human and environmental health. J. Geog. Environ. Earth Sci. Intn. 2017;9: 1-8. 67. Herndon JM. Aluminum poisoning of humanity and earth’s biota by clandestine geoengineering activity: Implications for India. Curr. Sci. 2015;108:2173-2177. 68. Herndon JM. Obtaining evidence of coal fly ash content in weather modification (geoengineering) through analyses of postaerosol spraying rainwater and solid substances. Ind. J. Sci. Res. and Tech. 2016;4:30-36. In the midst of official denial and misrepresentation, one can deduce from physical effects the purposes, if not the motives, for the near-daily, near-global coal fly ash tropospheric geoengineering. Aerosolized coal fly ash retards the fall of rain, at least until clouds become so overburdened that they let go with torrential downpours and storms. Coal fly ash makes atmospheric moisture more electrically conducting, which may be useful in military electromagnetic activities . Coal fly ash sprayed into the troposphere heats the atmosphere, and retards heat loss from Earth’s surface thus enhancing global warming. As coal fly ash settles to the ground, its typically dark gray color absorbs sunlight and alters albedo, again enhancing global warming . 69. Bertell R. Planet earth, the latest weapon of war: A critical study into the military and the environment. The Women’s Press: London; 2000. Dr Herndon’s remarks in the above last paragraph certainly are incriminating about global warming being a man-made (anthropogenic) tragedy, along with an experiment all humans are forced to participate in unknowingly, unwillingly and in defiance of the Nuremberg Code . Tropospheric aerosolized particulates, evidenced as coal fly ash, inhibit rainfall, heat the atmosphere, and enhance global warming. Evidence obtained from an accidental aerial release of an engineered material indicates there is an effort to melt glacial ice and thus enhance global warming. By ignoring ongoing tropospheric geoengineering, the IPCC climate assessments as well as the moral authority of the United Nations are compromised. Dr Herndon’s latest paper is written in scientific language. However, I encourage readers to ‘plough’ through it, as it explains much of what needs to be understood about how not only weather is being manipulated, but science, the environment and humans, as a result of clandestine mechanisms. I wish more humans were interested enough to oppose what’s happening to us and our beloved planet. Thank you, Dr Herndon, for your unfailing scientific efforts. No experiment should be conducted, where there is an a priori reason to believe that death or disabling injury will occur; except, perhaps, in those experiments where the experimental physicians also serve as subjects. During the course of the experiment, the scientist in charge must be prepared to terminate the experiment at any stage, if he has probable cause to believe, in the exercise of the good faith, superior skill and careful judgement required of him, that a continuation of the experiment is likely to result in injury, disability, or death to the experimental subject. 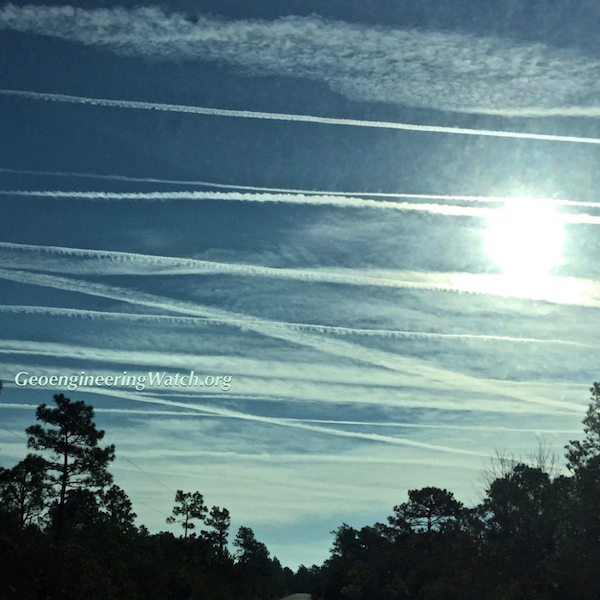 The ongoing global geoengineering assault has long since inflicted catastrophic and irreparable damage to the biosphere, climate, and life support systems of our planet (along with countless other forms of anthropogenic activity). 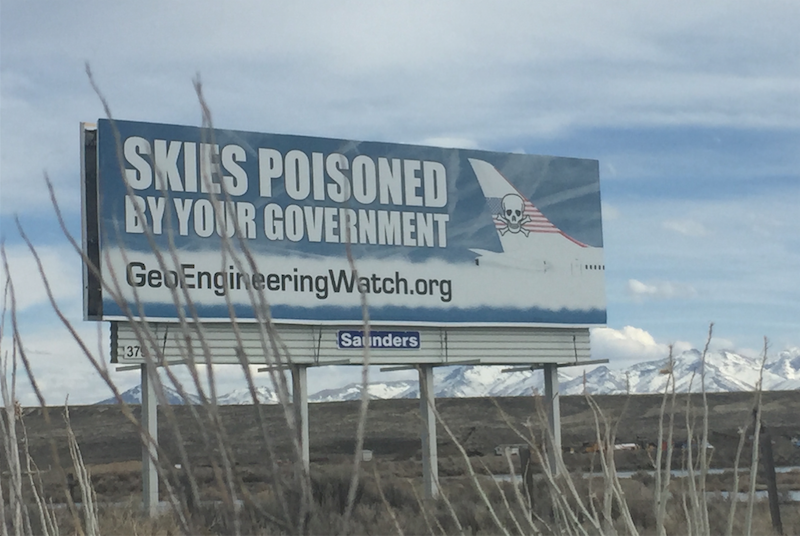 It is truly incomprehensible that such blatantly obvious “climate intervention” programs can be carried out in skies all over the world, in plain site (for over 70 years), and still be officially denied. Climate engineering is not a “proposal”, it has long since been a lethal reality. This reality cannot be hidden in plain site for much longer as the cataclysmic consequences from the ongoing climate engineering / weather warfare assault manifest in every conceivable way. All of us are needed and essential in the most critical battle to fully expose the geoengineering insanity. If we can expose it, we can stop it, make your voice heard. In the context of the Global March against Geoengineering and Climate Manipulation, the Enouranois group is organizing a function with screening of videos followed by discussion. We will be placing emphasis on the pioneering role that has been played by the Cyprus Greens in parliamentary and social action against the threat of 1) climate manipulation 2) climate speculation 3) climate warfare. The function will be held on Saturday 23rd April at the AITION cafeteria, Tziraion 8-10, Makrigianni (near Acropolis metro station). The screenings will commence at 4.00 p.m.